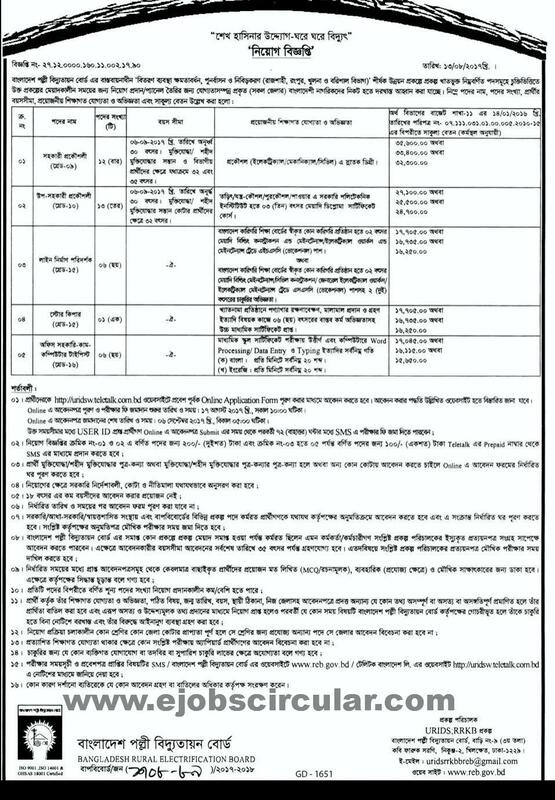 Bangladesh Rural Electrification Board (BREB ) published New job vacancy Notice at www.reb.gov.bd. BREB Jobs vacancy offer total 22 New vacancy in this post. Eight,SSC,HSC And Graduate Student also apply this BREB govt circular 2017. let`s Check Below for more Information. If You want to apply Bangladesh Rural Electrification Board BREB govt job circular through online you have to visit there official Teletalk website . For Next Updates about BREB Jobs vacancy Notice,Exam Result or Admit card Download stay with us.